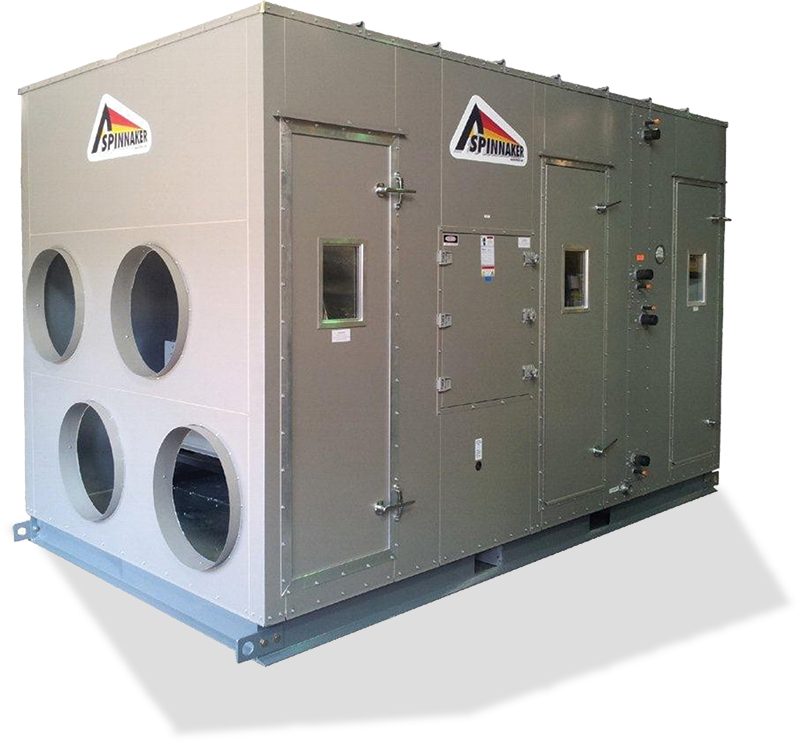 Spinnaker’s custom air handling systems are designed according to individual specifications. Units feature heavy gauge panel wall construction, welded structural steel base frames ,TEFC motors, blower sections, hinged gasketed access doors ,filter sections, Ventlok door latches , 8.x8. inspection windows , 2″ nsulation double wall construction, insulated double skinned floor, separated electrical compartment, single point power connection. cooling or heating coils ,wrap around heat pipes ,rotary energy recovery wheel to further enhance your design. Optional dampers ,hoods, variable frequency drives , DDC controls are also available . Whether its equipment for a new construction project or retrofit , Spinnaker can deliver the right product.